As 2015—hereafter known as Our Year Of Back To The Future—continues, the 30th anniversary festivities tweak our nostalgia for puffy vests, Huey Lewis And The News, and watching Oedipal complexes play out in real time. But much as the chance for any more sequels is as dead as the Clock Tower, Michael J. Fox doesn’t think he’ll be getting back into the DeLorean again. 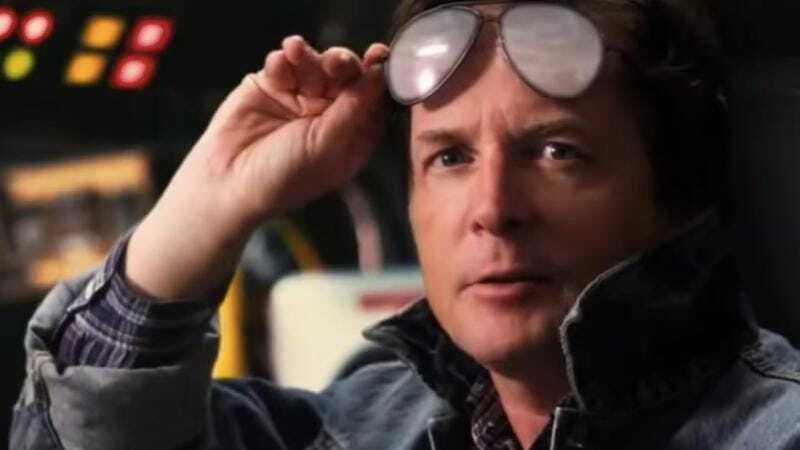 According to The Hollywood Reporter, Fox told an audience at London Film And Comic-Con that it would take an incredible amount of money to convince him to buckle up once more. Speaking alongside costars Lea Thompson and Christopher Lloyd as part of a 30th anniversary reunion panel, Fox seemed to be mainly talking about his dislike of the vehicle itself, not any ill will toward the series. The money it would take to get me back into the DeLorean again is a lot…I wish I had a video, a gag reel of how many times I was hit by that freakin’ door, the DeLorean door. Take after take, it would go, whack! It was the worst thing to drive. It had two gears and I slammed the door, and my hand would smash into the flux capacitor. My hand would be bleeding, my head would be bleeding…and I had to clean it off to get to the Family Ties set. If nothing else, this completely explains that episode of Family Ties where Mallory has to trade in the family’s couch, because Alex inexplicably gushes blood all over it.